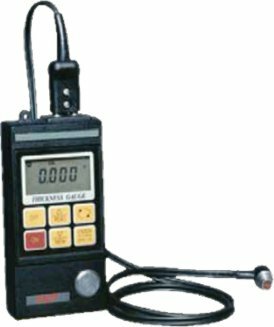 A portable unit suitable for measuring a variety of materials both METALLIC & NON-METALLIC. US Thickness gauge is supplied with Probe, Bottle of couplant, Operation manual, Calibration Certificate. Supplied in a carry case with foam lining for protection.